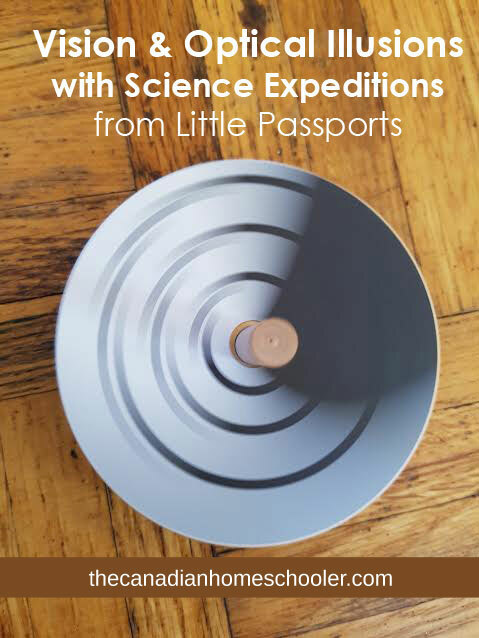 This year, Little Passports asked our family to try out their Science Expeditions monthly subscription box. 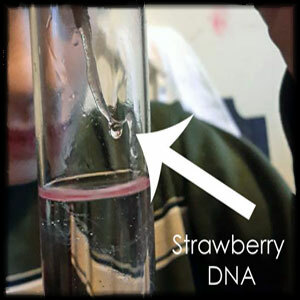 Box #1 was really neat, with experiments about Forensic Science – such as extracting DNA, studying fingerprints, and examining blood splatters. The second box is about Vision and Optics – how our eyes work and sometimes even deceive us. My aspiring scientist got right to work. He started off by reading through the booklet that comes in the box. It has a comic strip about Stella and Sam and their discoveries about vision, some activities to try, and lots of facts and information. Then we pulled out the experiments. The first one we finished was a camera obscura – basically building a representation of how our eyes work. The light comes through our eye lens and is flipped upside-down onto our retinas. (Did you know that our brain then flips the images we see upright again so it makes sense to us? I thought that was amazing!) 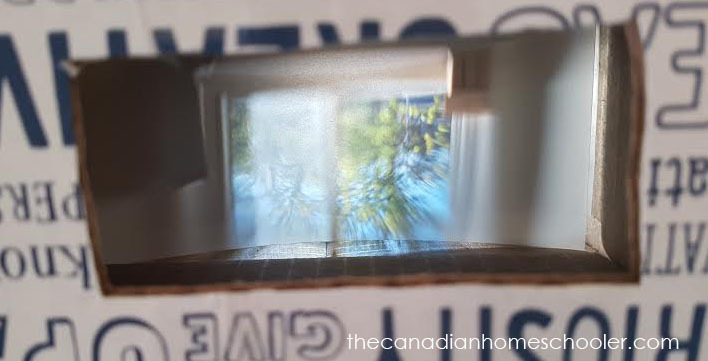 This project has you adding a lens to one end of a box, and then adding a piece of translucent paper to show exactly how the lens flips the image – you can see it on the paper! Honestly…. it was incredible and probably our favourite project in this kit. We kept going back to it over and over to retest it out. 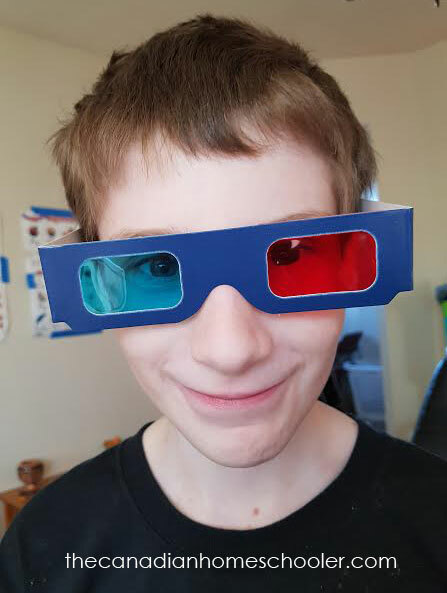 We found it a bit hard to find the perfect position to get a clear, crisp image, but it was a neat lesson to thin about how we focus things at different distances and think through problem-solving how we could recreate this project with an adjustable component. From there we made spinning pictures – the kind that you have an image on each side of a paper, place it on a stick and twirl it around so that the images kind of blend together in your brain. They even sent a few blank pages so you can make your own. Lastly, there is a top and a whole bunch of patterned and coloured circle discs to slip on the top before you spin it. We had a blast trying to think of what it would look like while it spun around. Some of them were pretty surprising. Especially the fact that you can actually see COLOURS appear from a disc that’s only black and white while it’s spinning….. and that science hasn’t really figured out why that happens! After testing all the pre-made ones, we made our own patterns on the extra circles. It was cool to discover that wiggly lines don’t really matter when it’s spinning – it still just seems to make a solid. This month didn’t really require us to use the lab notebook from the first kit, but my little science kid excitedly added his new sticker badge to the front of the book and is looking for the arrival of box #3. I’m really enjoying these kits for a few reasons. #1. Everything is in the box. Other than a few tools that are pretty common in homes – like scissors and tape, everything is all together in the kit. We can just grab it and get started. #2. He can keep them in his science bag. He wants to keep EVERYTHING. I already have so much “stuff” around our house, I was sort of dreading a pile of science miscellany laying around (probably on my desk…). But it can all be tucked into the blue zippered bag that came in box #1. That means no mess for me, and he is more than happy. #3. 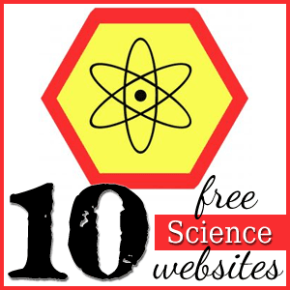 It gives me intentional one-on-one time with my son who loves science, doing something that isn’t classified as “school.” Funny how taking that word off a project makes it fun instead of work, eh? But, in this house of 5 kids, it can be hard to do things individually with each kid. This subscription forces me to stop and focus on my son as we work through it together. It allows me to enjoy our time together. It makes him feel special and that’s important. We are already excited for the arrival of kit #3 so we can show you what we learn next!